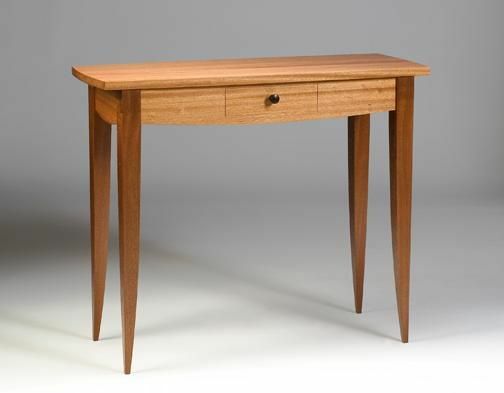 Sapele Hall Table With Drawer. This table was an exercise in simple straitforward but elegant lines. The table is sold but I can recreate it for you in any wood speicies and change the dimensions to suit your specific needs. This example is made from solid sapele, a wood from Africa that is a substitute for mahogany.